Even though my wife Denise’s a breast cancer survivor I typically don’t wear pink. 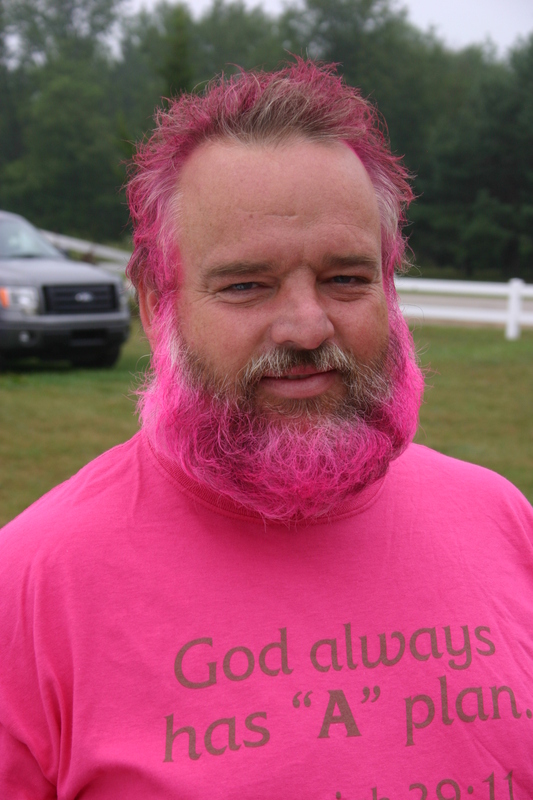 And for the record I wouldn’t dye what little hair I have left any color – especially pink. We also have a policy that asks staff not to significantly alter their appearance during summer camp by adding such things as tattoos or God forbid, dyeing one’s hair an unnatural color. But when our Michigan Site team asked me at the beginning of the summer to join them in coloring their hair pink if we reach our “A” plan (“A” plan’s our stretch goal) what could I say? 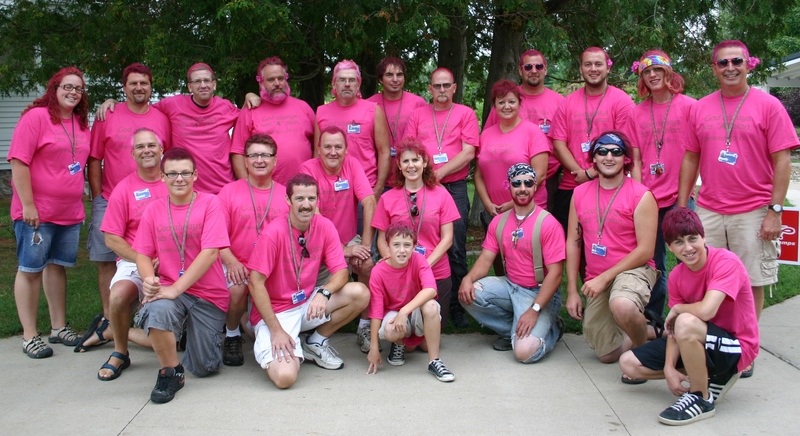 To celebrate 7600+ kids attending our Michigan overnight camp would be a great reason to be “pretty in pink”. Also, frankly, at the beginning of the summer, I wasn’t so sure we’d hit our “A” plan so committing to go pink didn’t seem like such huge risk. But as we grew closer to the goal and it was apparent we’d reach 7600 campers the Site team made sure I didn’t forget my commitment to join them in being “pretty in pink”. So today I, along with my wife Denise, joined the Site team in celebrating, in pink, the privilege of serving nearly 7700 campers this summer. Our t-shirts say “God always has “A” plan. Jeremiah 29:11″. It’s not just a fitting quote for our Michigan overnight camp but it also applies to what’s turned out to be the largest summer in SpringHill’s history. 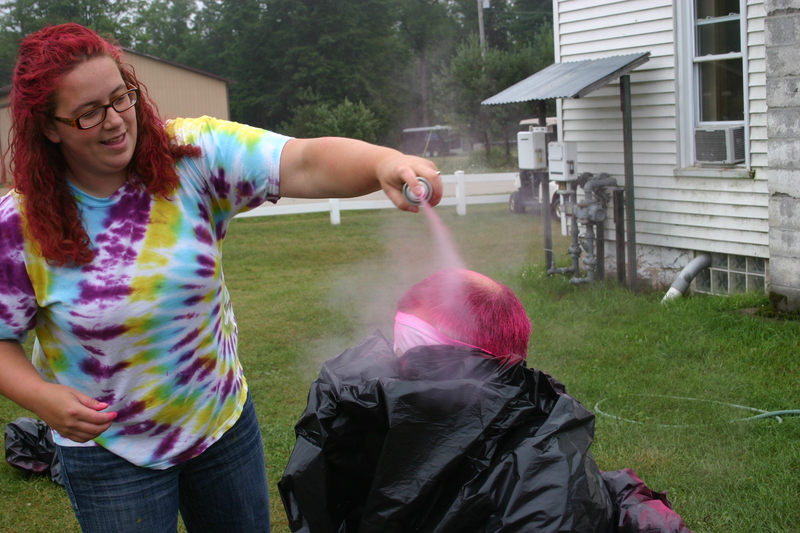 We’ll provide 17,500 campers a SpringHill Experience – a reason for which I’d have dyed my hair any color. Thanks so much Michelle for the feedback and for allowing us to have your daughter at SpringHill. Blessings to you and your family.